Sonic the hedgehog is my favorite character. A new voting series planned! JOIN IF YOU LIKE BFDI!!!!!!!!!!!!!!!!!!!!!!!!!!!!!!! 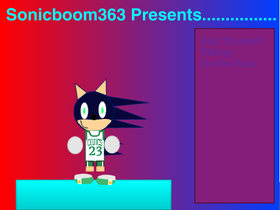 Come if you are a fan of Sonic! 100 followers by July 2018! I am not Done yet on Scratch! I am back!